Your Exclusive Opportunity To Gain Some PR & Promotion For Your Business , Off The Back Of My Book Launch Event! Taking up one of the sponsorship packages will give you an opportunity to promote your business to my my extensive network of business owners, PLUS the guests at my book launch event. Only 1 x Platinum package is available. 7 x Gold packages available. Additional promotions. A short write up about your business (content to be provided by yourself) which will be posted and shared on each of my social media channels. A short write up about your business (content to be provided by yourself) which will be posted and shared on each of my social media channels. Speaking slot on the programme for you to speak about your brand. 10 minutes – an opportunity for you to share some additional insights and demonstrate your expertise. 3 minutes – for sponsor to speak about their brand, services and key benefits. Your promotional materials in the guests’ Welcome Pack. Yes – Up to 3 different items per Welcome Pack. Yes – One item only, per Welcome Pack. Table to display your products and/or marketing literature – Located right at the entrance to the room, so guests will see you first. Your banners (two of) displayed prominently in the room – One of which will be placed on the “stage”/speaker’s area, for extra visibility. 10-minute speaking slot on the programme – Giving you an opportunity for you to share some additional insights and demonstrate your expertise. A link to your website from my site (jaelex.com) and shared on my social media channels. A short write up about your business (content to be provided by yourself) which will be posted and shared on each of my social media channels. Free, signed copy of the book. Table to display your products and/or marketing literature. Your banner (one of) displayed prominently in the room. 3-minute speaking slot on the programme to speak about your brand, products and services. To take advantage of this unique, one-time-only oppportunity, click the respective Buy Now button, above, or to request a call back to discuss the options further fill in the form below. IMPORTANT NOTE: You (or a company representative) MUST be able to attend the book launch event, or else send a representative for your company, at Alpha Works, Suffolk Street Queensway, Birmingham, B1 1TT, from 6:30pm until 9:00pm, on Friday, 26th April 2019. Additionally, you (or your representative) will be required to arrive no later than 30 minutes before the event starts, in order to set up your table and banner(s). 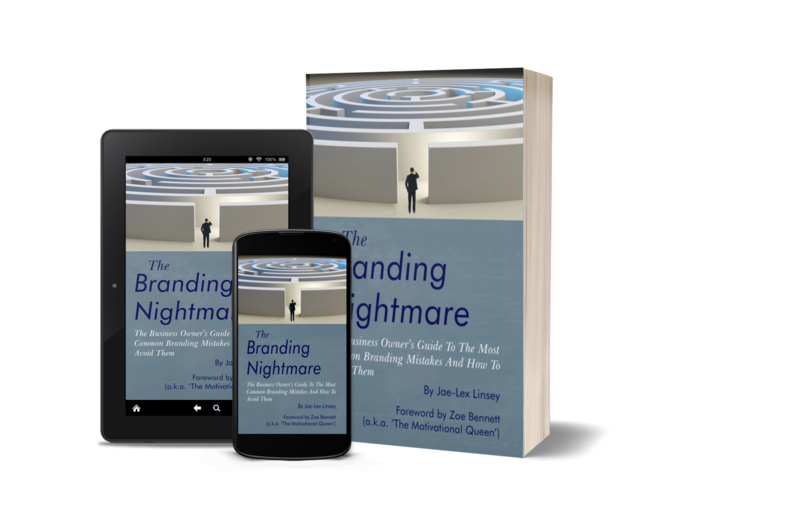 Find out more about how you can promote your business to my extensive network of business owners, PLUS all the guests at the launch event for my new business book, The Branding Nightmare: The Business Owner’s Guide To The Most Common Branding Mistakes And How To Avoid Them.